I stumbled over Lisa’s blog recently and she was talking about losing her father at the beginning of the year. 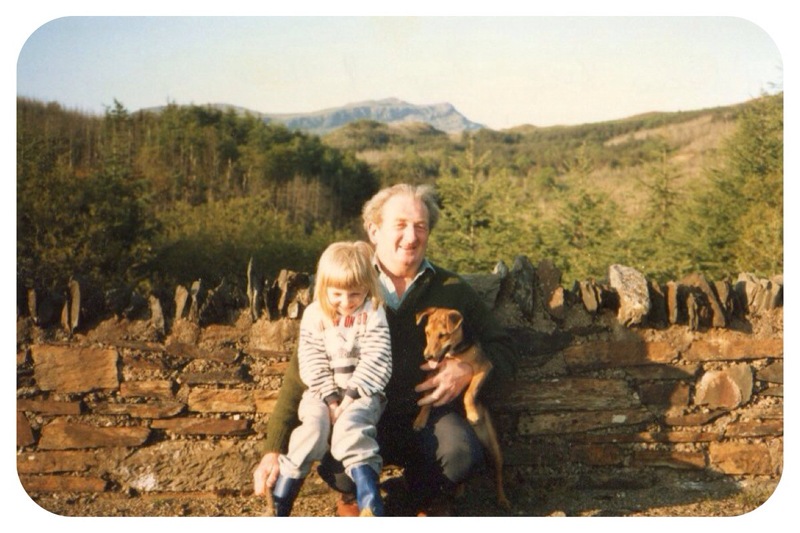 It got me thinking about my experience of losing my grandad – “Taid”. I grew up with my Dad and Taid. It was always us three and the dog! I won’t go into why I grew up with them – don’t worry my Mam was around and I’d see her all the time. But Taid was my main man! I used to sit on his knee in the mornings eating cornflakes with him and doing the daily crossword with him. We would often go on walks with the dog – Jimmy. It was a great time. Happy memories! I was still living with Taid when I met my husband just over 5 years ago. After about two years we decided to move in together. This was the first time I moved out and just so happened that Dad has got married the year before and had recently moved out as well. It was heartbreaking having to leave Taid on his own. I was moving about 20miles away so it was the first time I wouldn’t see Taid everyday. As happy as I was to be moving in with my fiancé I cried for a week after moving in. But I would go to see Taid one evening a week where possible and would try to go up for the day once a month and take him out for a spin in the car or for lunch or something. For a while things we’re ok but Taid’s health deteriorated and he was diagnosed with Parkinson’s. We had to get carers in 3 times a day to make sure he took his tablets and that he ate proper food. We knew there was something more than Parkinson’s going on as his mind was also deteriorating. Then last summer during the heat wave he became incredibly ill and had to be admitted to hospital. In the night he escaped from the hospital and was found wandering the streets. This is when we decided that matters had to be sorted. As it turned out things got a bit worse and he was admitted into another hospital for diagnosis. The diagnosis was that he could no longer live on his own. So we decided that the best option was for him to be in a care home. We had to find a care home that was locked otherwise he’d escape! He was no danger to anyone but himself. He just liked wandering around. The care home we found for him was over 1.5 hours away from me so it meant that I couldn’t see him every week anymore. It was difficult. The one thing that made me happy was the fact that he was able to come to my wedding in September last year. I hired a suit for him to match the rest of the wedding party. He looked so handsome! And he looked like he was enjoying himself. And he ate all his food with help from my Mam. She was so good with him. Taid had a fall and was then admitted back into hospital last December. He was in a stable position but was unresponsive. After a couple of weeks the hospital called us in to inform us that he needed to be moved to a nursing home. The following day the hospital called us in to say that he was dying. On that evening Dad, his sister and I rushed into the hospital and stayed there until the early hours. We decided to take it in shifts so Dad’s sister stayed with him over Saturday night, I stayed with him during Sunday, Dad stayed over Sunday evening and Monday, before I went back for the Monday evening shift. Taid died in my arms that Monday evening the 17th December 2012. Dad and his sister didn’t make it to the hospital in time. But I am so glad I was there with him at the end. He went so peacefully and I hope that he knew I was there and that brought some comfort to him in his final hours. I loved him so much and it was so upsetting that he died but it came as a bit of relief in the end. He had suffered in those last few months and it just proved how cruel life could be. We had Taid’s funeral on Christmas Eve. There were a few family members who disapproved because it was the day before Christmas but I was so glad. 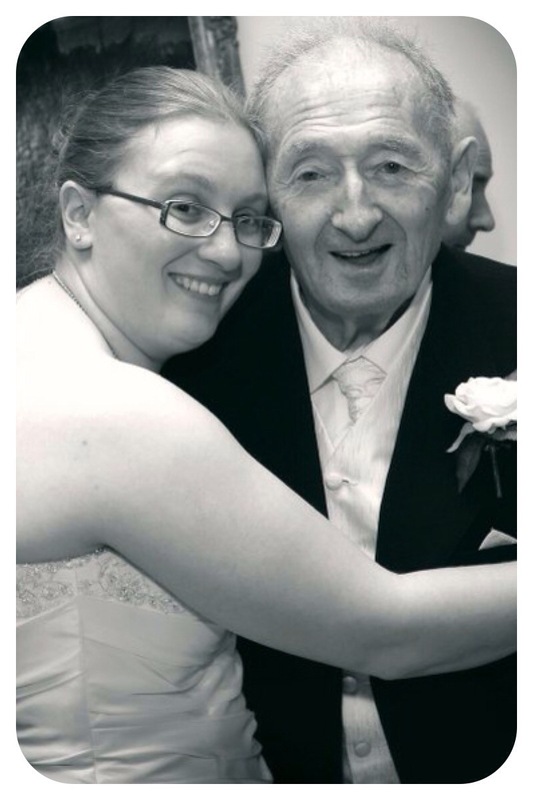 Taid was laid to rest with his parents and my gran said something lovely which helped me get through Christmas. She said that at least Taid would be with his family on Christmas Day. I must admit that I was much calmer at the funeral than I ever imagined possible. I felt that I had done my best for Taid when it mattered. Sorry about Taid. This is such a beautifully written post!